Standard 107 key USB Spillproof keyboard with large high contrast white printing on the keys. 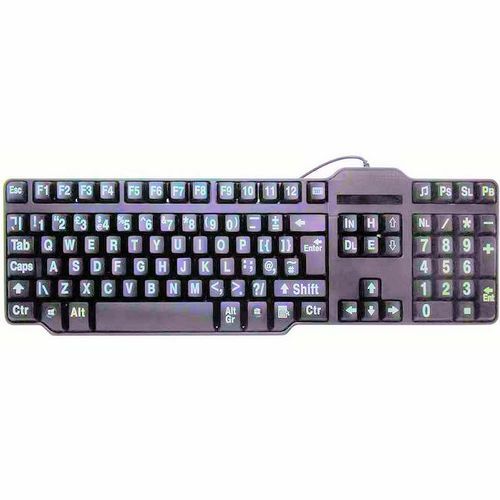 Features high quality membrane tactile keystrokes. 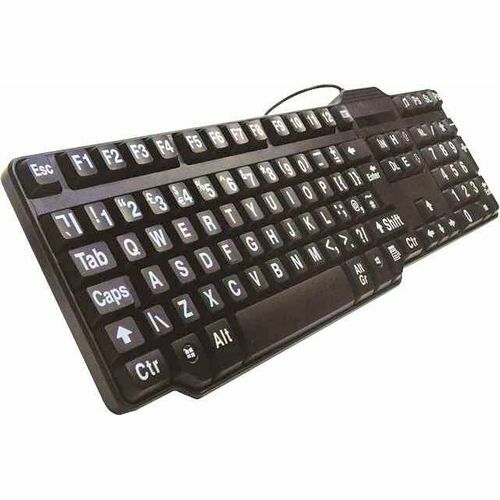 Finally for users with severe eye issues we also have a keyboard with large keys and very large characters.